Puerto del Rosario is a town with two centuries of history. It has been the island’s capital since the mid-twentieth century. As the hub of administration, trade, culture and leisure for Fuerteventura, it buzzes with all kinds of activity – some of it planned, some of it spontaneous – throughout the year. This thriving commercial centre is also the leading business platform on the island, acting as the pillar of Fuerteventura’s infrastructure, particularly with regard to transport, both of people and goods. More than four million passengers come through its airport every year and its port regularly welcomes the many cruise-ships that tour the Canaries. Business activity is mainly based around tourism, trade and services. 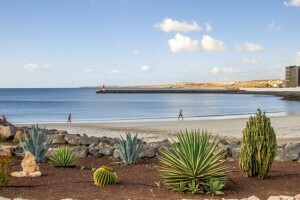 At present, Puerto del Rosario has a population of around 40,000 residents. Betancuria and Antigua to the south.